As the end of the year gets near, you know it’s a tradition to start making lists, lots and lots of lists. For some, it’s a way to look back into the year that’s about to end and see what has been accomplished. For others, it is a way to look back at the things they’ve missed and swear that next year will be the year. For others, it’s another chance to remember the good moments that passed, the joys that the year brought. And for others, it is a way to not having to think in a proper update. Of course, this is not our case. So first we start with numero seis. Once we found out that the mob would turn to face the wrong side while moving or not turn at all, as we can see here in an extreme case. At the time we had more pressing issues, so fixing this bug was a bit low in the queue and we ended up having a moonwalking mob with us. And someone would always start whistling Thriller while playtesting. That was the worst part, I think. The horror! THE HORROR! It seems that time travel, cloning people, being the father of your brothers and sister… these kind of things aren’t without consequences for your sanity… and Oedipus knows this very well. At some point, he tried to escape this torment by splicing DNA from the people he cloned to create a vessel for a Great Old One to inhabit so it would wreck havoc on ancient Greece. Or maybe he just created copies of animated sprites that got stuck together at 0,0,0. I still think Oedipus is not to be trusted, but the guys will still use him in the game. Iä! Iä! Ph’nglui mglw’nafh Cthulhu R’lyeh wgah’nagl fhtagn! This is a last minute addition to this list! It happened this morning, and both Sebastian and I agreed that it deserved this spot. We were working on being able to replay a level with the same mob when we realized that crossing your own time line leads to unfortunate situations like that one. And Oedipus hadn’t said anything to us. Yet another reason not to trust him. Ouch, that looks like it hurts. A lot. Poor philosopher. Now imagine you are testing, battling Apollo with your mob. Then you pause it for a moment to check some variables and stuff, to check if everything is behaving as expected. Then you go back to the game to move on to the next critical moment aaaaand… this welcomes you. A bunch of arrows shot rapidly by the god Apollo. It’s not fair, is it? Also, notice how they are arrows and not cats? Damn Roque. 2.Perseus goes Garry’s Mod all over Delphi. Or just slithers around. One of those. Many are Perseus’ exploits, as we all know, but it seems griffons have a funny effect on him. When brave Perseus was attacked by one of the majestic beasts and later rescued by the rest of the mob, he never recovered from the experience. But he gained the ability to phase through buildings and stuff, so there’s that. 1. Hallelujah, it’s raining philosophers! And this is the top of the list! The best one! The philosophers rain! Why the background is dark grey, you ask? Because this happened among a complicated series of things breaking one after the other, including the level not loading and the action phase getting stuck in “spawn player”. But seriously, I think this picture speaks by itself. So behold the best bug of the year! And that’s it. There were more bugs, of course, but those were more of the “AAARGH!! !” kind and not memorable at all. I hope this list has made your life 780% percent better (±780). Enjoy the upcoming holiday, celebrate responsibly and don’t aggravate Santa by throwing rocks at the reindeer. 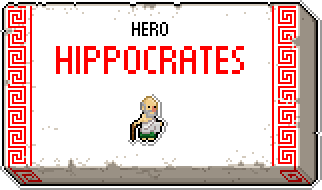 Last week Roque wrote a little bit about heroes in Okhlos. Today I will keep on writing about them. Why? Because heroes are a key part of the game. Getting the right heroes in your mob can make difference between drinking spiced wine over the ruins of mount Olympus and getting squashed like an insect under Zeus’ flip flops. Not only that, heroes will make each mob different, will make you play in a different way, will let you build up different strategies. Heroes are everything. There are several ways to get heroes. As it had been said, some heroes may be found while exploring the levels and other through the hero market. Yet other heroes you will only find after defeating certain enemies: for example, you may be able to free a hero from the clutches of an evil monster and then add them to your mob. Another things that makes heroes different from the rest of units is that heroes do not die. 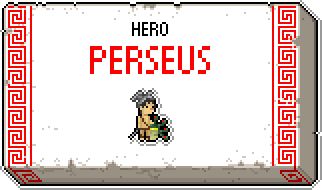 They can be knocked out, yes, even the mighty Heracles can be sent out of combat by direct blow from Ares, but unlike regular people Heracles will rejoin the mob when you start the next level or when certain other conditions are met. So heroes are somewhat immortal but can still be temporarily disabled and leave the poor helpless leader alone at the mercy of an enraged cyclops. 1) Super Units. These heroes are an enhanced version of the regular unit types. Hero warriors will be much stronger and hit harder than regular warriors, hero defenders will be much tougher, and hero slaves will be much more … err … enslaveable? Well no, hero slaves will also be much better as units than their regular counterparts. Heracles, who was presented last week, would be a perfect example of this, as he is the über warrior. 2) Kings. Rulers increase your mob limit. At game start, your mob can’t have more than 50 members, without counting animals and heroes. But the kings increase that number. Take Lycaon for instance. He was king of Arcadia, quite a big shot at his prime. So much that he thought he could fool Zeus. To do that he devised a cunning plan. A cunning and incredibly, ridiculously twisted plan. He invited the lord of Olympus over for dinner and, to test if he was really all-seeing and all-knowing, he chopped off one of his own children and served him as one of the dishes. The god of thunder noticed this and was not very happy (he is a picky eater). 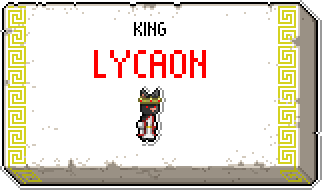 He immediately turned Lycaon into a wolf-like creature and killed the rest of Lycaon’s children (he had like fifty of them, which may be why he thought that the best way to test someone’s omniscience was to serve them one of his kids but still…). 3) Healers. 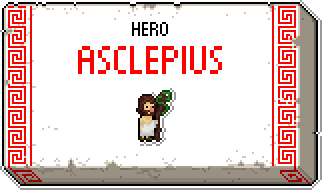 Do you remember Asclepius from last week? Well, he was a healer. He is THE healer, actually. The demi-god of healing and medicine. Nobody does it better. But there were many others that were also versed in the ancient mysteries of medicine, and this category is where they belong. Like Hippocrates. You may remember Hippocrates from oaths like the Hippocratic Oath that doctors all over the world take and uphold, even up to this day. Not only was he the greatest physician of his time (and you could say he kept on being the greatest physician for centuries, since his teachings were regarded as perfect and for a long time no one even dared to seek further improvements), he was also a badass. He was imprisoned for his then radical views on medicine, and held captive for twenty years (during which time he never backed down and instead spent the time writing medical treaties). He was the Mandela of medicine but bald, and he could heal more units at the same time. So if you have an injury… if no one else can heal you… and if you can find him… maybe you can hire… Hippocrates (cue in theme music). Leonidas, king of the Spartans. He is remembered for leading the fearless 300 Spartan warriors that almost managed to single-handedly stop the huge invading Persian army at the battle of Thermopylae (and for lots of internet memes after the Zack Snyder movie was released). 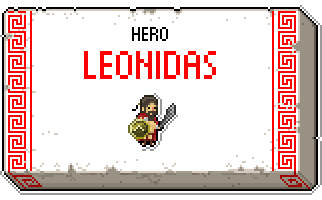 In Okhlos, Leonidas is a warrior enhancer: he increases the damage output of all the warriors in the mob like, a lot, but at the same time he reduces their defense. All warriors thus become very lethal killing machines under his command, but they may end up having supper in hell after the fight if they are not careful (they will not be). 5) Special Abilities. These heroes are the cream of the crop. The best of the best. The awesomest of the awesome. The … ok, you get the idea. These heroes each have a unique ability that is what separates them from the rest of the crowd. Not a even a programmer that has learned to code using Pascal can fit them into any category other than this generic random mix of a category that is Special Abilities. One example of a hero that has a unique special ability was Oedipus, with his cloning. Another one is Perseus. Perseus is a another mythological figure that you may recognize from the movies. He was the main character in Clash of Titans for instance. And he killed poor old Medusa. Perseus was one Zeus’ sons (one of his many, many, many offspring) so he had that to his advantage. But he was an illegitimate child so he had… issues… with his father’s wife, Hera. Let’s say that Hera was not fond of the fruit of her husband’s escapades. Among the various wondrous items Perseus got during his adventures and travels (think half the table from the DM handbook! ), he had Hades’ Cap of Invisibility. His ability in-game comes from this item, because he is able to turn the whole mob invisible to enemies until they attack (it’s an artifact, its powers are ill-defined at best). And this is it for now. There will be more heroes, of course, hundreds! But we have to keep some surprises from you. So we bid adieu to you all until next week, when we will talk about paternity tests in the age of haruspices and meddling lightning gods. 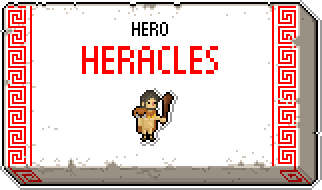 This week we will start with an ongoing series about heroes in Okhlos. The heroes are special unit, that are going to be scattered all over the game but that you will also be able to buy with different units. Originally, the heroes were only going to be available for purchase with slaves. The goal was to use slaves as coins, a kind of critic to the class system in ancient Greece, and the slaves would also have another function, to carry items. We realized that those two functionalities were too important in the game, and that putting that much into a single unit type would make the others less relevant. If the players wanted to buy items, they couldn´t buy heroes. And when they bought heroes, they lost all items they were carrying. The system was unbalanced, giving too much importance to the slaves. The best strategy was simply to gather as much slaves as possible, forgetting about the rest of the units. That is why we decided that is was best for the slaves to keep the item-carrying functionality, but that the hero-buying part would be something that could be done with any kind on unit. Now each hero costs a certain amount of units, depending on what it does. For instance, Leonidas, king of the Spartans, is going to be able to be purchased with warrior units. Each hero is going to have special stats and characteristics. 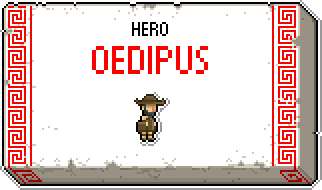 Oedipus is based on the hero of the same name, but we took some liberties translating him into the game. Basically he is the king that blinded himself after he realized the great sin he had committed, which made family dinners really awkward, and made Freud rich. However, in Okhlos, his power doesn’t come from the myth, Oedipus doubles the number of people that are added to the mob. If you add a slave, you will get two slaves instead. This is pretty useful, but is also makes it very easy to reach the mob limit fast. Even though this seems like a non-sequitur between the myth and the in-game ability, we justify it with a Borges quote: “Mirrors and paternity are abominable because they multiply and affirm it” (“Los espejos y la paternidad son abominables, porque multiplican al hombre al infinito“). 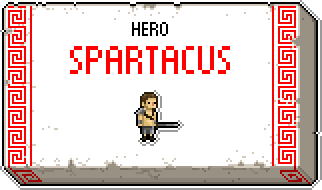 In Okhlos we are constantly lobbying to get this hero called like he should be. It’s Heracles, not Hercules. He is the son of a god and a mortal (remember that if something moved, it was very likely that Zeus would want to bang it). Heracles possess and incredible strength and can resist almost any impact. He would the archetypical tank unit, if not for the fact that each of his blows deals more than the rest of the mob combined (not true). The Roman slave, turned leader of a popular uprising. Kind of a classical Che Guevara. Spartacus role is basically to make the slaves stronger. Each slave will be stronger and tougher if Spartacus is in the mob. Spartacus is like getting all your slaves on steroids. However, we condemn the use of non-virtual steroids. Asclepius heals units. He is also Apollo’s son, which makes him a demigod. It’s always useful to have a healer in the mob. We still have some fine tuning to do, to see how much he will heal, and how close the other units need to be to be healed. As it is now, he is terribly unbalanced, but it’s a matter of fiddling a little until it’s right.